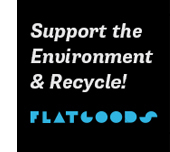 As you have seen on our Facebook page, Flatgoods is partnering with Stocking Elementary’s Camp Fire LOOP program. This is an after-school program serving children and youth on the West Side of Grand Rapids. Camp Fire West MI. is a non-profit organization that facilitates after school programs for children and youth at 11 of the Grand Rapids Public Schools 21st Century Community Learning Center sites which are federally funded. Camp Fire provides the opportunity to find their spark, lift their voice and discover who they are. Every day after school, around 50 students line up for attendance, wash their hands, and receive a snack. Then, the kids do “opening circle,” which includes a tradition called the “I can” poem–an inspirational activity where students share about all the capabilities they have to do good and be kind. Then, the teachers draw names of two students who will be the leaders for that day. The leaders choose game and lead the other students in participation. After the games, the students split up by grade, go to separate rooms, and do homework–all with certified teachers around to assist them. When an hour of homework time is up, they participate in a variety of activities from computer classes to drama lessons to art classes. The day wraps up with a closing circle where everyone answers the questions What was the best thing about today? and What would you change about it if you could? At 6pm, they all go home. Some by foot, some by car, and a majority by bus. We’re planning on making partnership last for a little while! We’ll donate chairs to the after school program, which will divvy up the chairs to the students who are most enthusiastic about their art classes. For a couple of months, these kids will have free reign to decorate their chairs until the big April Showcase. Students from the Grand Rapids Public Schools will get together for a youth fair at Creston High School. This year, the theme is “Our Story.” That means, these chairs will be decorated with each kids’ story–their successes, their struggles, their hopes. We are so excited to partner with these kids in our neighborhood and a program that encourages creativity, hard work, and fun for our school district. Please support us by liking our Facebook page and sharing it with your friends so they do the same!